We are Tisho, Anna, Didy, Petia, Deny, Daniel, Magdalena, Nikoleta, Carmen and Ilze. We come from different backgrounds like business, education, humanities and arts. Tihomir Georgiev has BA in History and MA in Rhetoric. He is certified NLP Practitioner by Robert Dilts and Judith DeLozier and the NLP Global Training and Consulting Community. Now a freelance trainer of experiential learning programs, coach and youth worker. In the pool of trainers of the Bulgarian NA HRDC since 2014. Tihomir is volunteering since 2004 in: Nature preservation centre in Karlovo; AIESEC Bulgaria; EVS in Hungary; Outward Bound Bulgaria, and other NGOs. He has experience in working with minority and fewer opportunities youth. 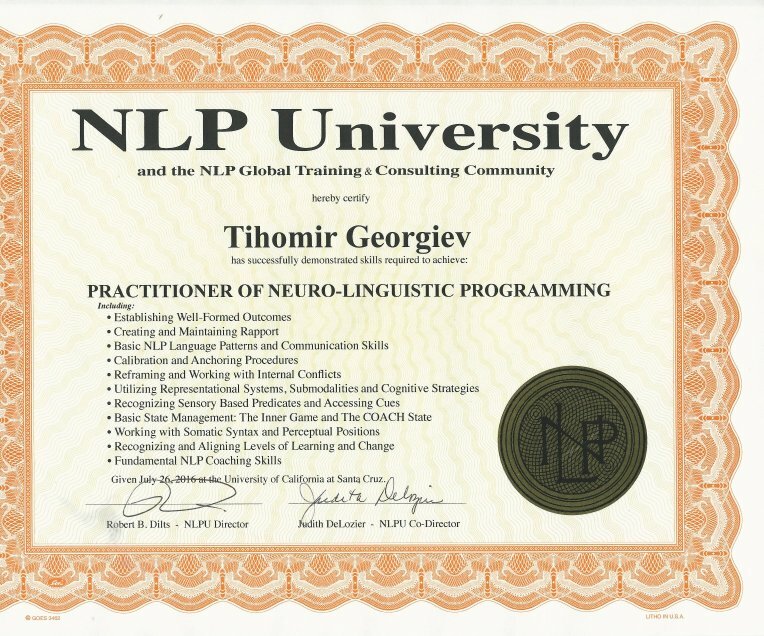 Tihomir utilizes approaches from NLP, coaching, hypnosis, systemic work and constellations, mind-body work, outdoor, non-formal education and experiential learning. Trained and experienced in the “synergy method” developed and disseminated by Olde Vechte Foundation and the International Synergy Network. Tihomir is the founder and director of Smokinya Foundation. Anna is a trainer with a master diploma in Education Management – acquired in Eötvös Loránd University of Budapest. She completed her half a year internship programme in Brussels, in the Flemish Ministry of Education where has gained experience in programme tailoring and curriculum development. She is working as a trainer and project designer for more than 6 years, using mainly the method of creative recycling in different areas: personal development, social entrepreneurship, sustainability, arts and design. Anna is trainer and project designer and developer in Smokinya Foundation. Detelina Momcheva is a marketing professional with vast experience among markets and industries. She holds a BSc degree in International Economic Relations and an MA in International Cultural Policy and Management. Beside her academic and career development she has been actively involved in various volunteering initiatives and NGOs such as AIESEC, Rotaract and Rotary Clubs, currently a leader in the Duke of Edinburgh International Award. She has successfully developed and managed different projects tackling environmental and social problems, especially ones concerning young people. She is a member of the International Synergy Network since 2014. Didy is a mentor and a Board member of Smokinya Foundation. Denitsa Matova is an experienced professional trainer in a business corporation in Bulgaria since 2010. She has a significant experience in working with youth within AIESEC and also had been an HR expert for a prominent Bulgarian IT recruiting company. She has worked on several volunteering international projects within AIESEC Bulgaria. She is a keen outdoor person, practicing hiking, mountain biking, birdwatching and rock climbing. Denitsa is part of the International Synergy Network since 2007. She has been part of various training courses as a participant of the Dutch NGO – Olde Vechte Foundation, co-trainer in basic synergy training course in Slovakia hosted by YMCA Slovakia and a participant in Fusion for Creativity by Egyesek Youth Association. Denitsa is experienced in writing and managing E+ projects. Board member of Smokinya Foundation. Petia Chalakova is an international trainer with 6 years of experience in non-formal education. Her specialties are critical and analytical thinking, environmentalism, social advertisement, civic society and social entrepreneurship. Her recent passion is non-verbal communication in horsemanship practices. She has degree in Philosophy and Sociology, Marketing and Advertisement, Semiotic and Linguistic. Petia has PhD in New Media Art Critique and is trainer and project designer in Smokinya Foundation. Daniel Yordanow is an IT procurement professional with vast experience in youth work. He is keen supporter of youth and Erasmus+ projects and loves dancing and expression through physical movement. Daniel is AIESEC Bulgaria alumni and right now is a mentor at Smokinya Foundation. Magdalena Pirgova is experienced youth worker with keen interests and solid background in art, theater and social causes. She is a trainee in facilitation and trainership and supports logistically the overall activities of Smokinya Foundation. Nikoleta Mihailova is a high school senior graduating in 2019. She is active in several fields whiles studying and is focusing on development of foreign language competences. Nikoleta speaks 4 foreign languages and is teaching Bulgarian to Smokinya’s EVS volunteers. Carmen Rivas comes from Spain with a background in social work. She is a volunteer in a long-term project financed by Erasmus+ called iHIGHER – volunteering for youth participation and employability. Ilze Rozenberga comes from Latvia with a background in music. She is a volunteer in a long-term project financed by Erasmus+ called iHIGHER – volunteering for youth participation and employability.